Below is a simple all-natural sunscreen recipe that is free of all the toxic and hormone-disrupting ingredients in chemical sunscreens such as oxybenzone, octinoxate, homosalate, avobenzone, methoxycinnamate, retinyl palmitate,aluminum, PBSA, etc. 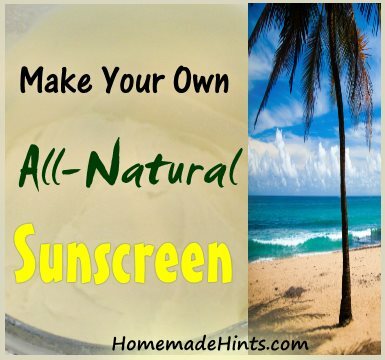 I have included two all-natural zinc oxide sunscreen recipes below – one for sunscreen lotion and one for sunscreen bars. The bars have the additional ingredient of beeswax which makes the sunscreen more water resistant. Both these recipes make about 4 ounces of sunscreen. I suggest you make this amount first to see if you like it or not and then double the recipe later, depending upon how fast you use it. Important! 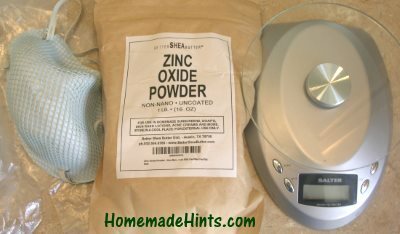 Do Not Inhale Zinc Oxide Powder. 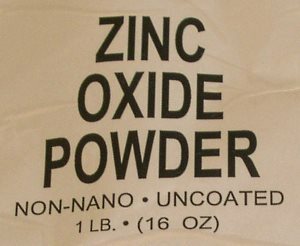 It is possible to overdose on zinc oxide through inhalation – your lungs trap the powder and facilitate the diffusion of zinc into the blood stream. I don’t want to scare you – you would have to inhale a lot of dust for this to happen – but you should be aware. Citrus Essential Oil Warning: If you want to add essential oils to your sunscreen, do not use citrus oils with high levels of furanoids which can be phototoxic and/or will cause photosensitivity. Sweet orange and tangerine oils are fine because they do not contain high levels of furanoids. 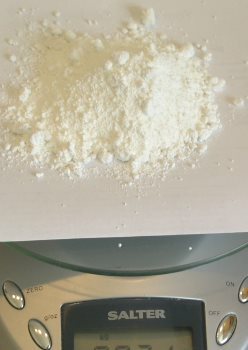 Measurements: I use weight instead of volume measurements because it’s easier and more precise, especially with a food scale. But, if necessary, you can convert ounces to cup measurements. For example, 2 ounces is approximately 1/4 cup. FAQs – Questions about ingredients, application and more are below the recipes. 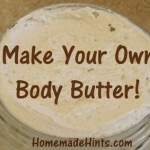 This lotion recipe is semi-water-resistant, lasting ~45 minutes in water before needing to reapply. Place the coconut oil and shea butter in a pyrex glass measuring cup or in a heat-resistant mason jar. I like to store my sunscreen in a mason jar, so instead of messing up an additional measuring cup, I just start with the mason jar. Fill a small saucepan or pot with a few inches of water. Place your glass container with the coconut oil and shea butter into the water. Turn on the heat to medium and melt the oil and butter until just melted, stir. Turn off the heat, put on your mask and then add the zinc oxide. Stir with a whisk until well incorporated. Add essential oils, if using. If you used a pyrex cup, pour your mix into your container while still liquid. Wide-mouth glass jars are best for storing and for using as opposed to small-opening, squeeze-bottle type containers. This bar recipe is more water-resistant than the above lotion, lasting ~80 minutes in water before needing to reapply. Note: The beeswax helps make this formula more water-resistant, but it also makes it more difficult to spread onto your skin. To make application easier, place the bar in your hands for a few moments, which will allow the bar to warm up and soften and make it easier to apply. Place the beeswax, coconut oil and shea butter in a pyrex glass measuring cup or other heat-resistant glass container. Place your glass container with the beeswax, oil and butter into the water. 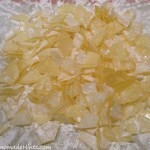 Turn on the heat to medium and melt the beeswax, oil and butter until just melted, stir. Pour into silicone molds or small empty containers (i.e., deodorant) while still liquid. Let cool completely until solid. Remove from molds. Store below 90 deg F or refrigerate. If you ever purchased a zinc oxide cream that is not micronized (crushed into smaller particles to make a fine powder), you will know that when applied to your skin it goes on as a thick, white paste – like what you see sometimes on a lifeguard’s nose at the beach. If the zinc oxide is micronized down to sizes less than 100 nanometers (nm), it is considered to have nanoparticles. There has been concern as to whether nanoparticles in zinc oxide or titanium dioxide sunscreens are harmful. Some studies demonstrated that the nanoparticles could penetrate the skin and cause cell damage when exposed to UV light. However, more recent evidence indicates that the nanoparticles cannot penetrate the epidermins. To be on the safe side, I prefer to purchase non-nano zinc oxide when making my sunscreen, although apparently it is nearly impossible to verify whether a product is 100% non-nano. You can read more about nanoparticles in sunscreens and why zinc oxide is the Environmental Working Group’s first choice for sun protection here. I wondered that myself. Everyone said use “uncoated, non-nano zinc”. The non-nano was usually explained, but why uncoated? Apparently when nano-zinc was first used in sunscreen formulations, the smaller-sized zinc particles were coated with an “inert substance” (I have yet to find out what the “inert” substance exactly is) so that it would blend more easily into the lotion. Once larger, non-nano zinc oxide was used, it was discovered that coating the particles was unnecessary. That’s basically it. So, if you have a choice, uncoated zinc I assume is better than coated, although I have found no data to support it. The only research I found was comparing the penetration of coated and uncoated zinc oxide nanoparticles into the empidermins, which was limited. Will natural zinc oxide sunscreen make me look like a ghost? No, it’s not completely clear, but rather a faint white. I like it because it lets me know exactly where my skin is covered by sunscreen and where I need more. Especially nice feature when applying on kids! How much zinc oxide to add for desired SPF? Without a lab, we cannot determine the exact SPF our lotion will have, but rather a range. The final percentage of the total weight of your sunscreen will determine the approximate SPF. So in ours, 1 ounce of zinc oxide is about 20% of the total weight of 5 ounces (5 ounces x 20% = 1 ounce). This will give us an SPF of about 20 based on concentration values below. You can view this SPF chart for other ranges as well as for non-micronized zinc oxide and titanium dioxide. The Skin Cancer Foundation recommends using sunscreen with an SPF rating of at least 15. Before you even add any of the zinc oxide to your lotion, there is some SPF protection naturally from certain oils if used. I have searched the internet and found wide ranges of SPF values for these different oils with no references. For example, one article had coconut oil at an SPF 4-6, while another was 2-8 and a third listed it as 10. So instead of giving you ranges, I found a study that gave more specific values by using a UV spectrophotometer. Shea butter, which I use in addition to coconut and almond oil in my body butter recipe, is not listed in the table below. It has an approximate SPF of 6. Does Zinc Oxide Sunscreen Protect Against UVB and UVA Rays? Yes, zinc oxide is an approved FDA Broad-Spectrum Sunscreen, protecting against both UVB and UVA rays. UVB rays affect the superficial epidermal layers of our skin, causing sunburn without protection. SPF is a measurement used to determine how long it will take for UVB rays to redden skin when using a sunscreen vs without it. UVA rays penetrate deeper into the dermis layer and is responsible for skin aging and wrinkles. 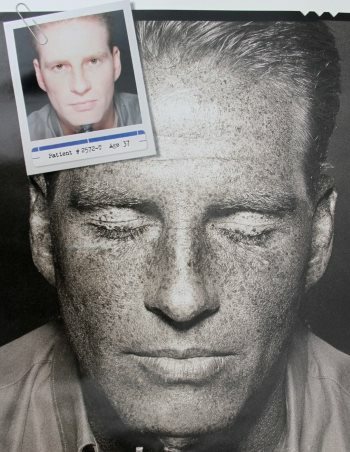 But both UVB and UVA rays contribute to the development of skin cancers. No matter what the SPF rating is, even if it is SPF 500, no chemical or physical sunscreen will offer 100% protection. For more info, read the EWG article, “What’s wrong with high SPF?” here. Is this zinc oxide sunscreen waterproof? How often do I need to apply? The first recipe is somewhat water-resistant. I can go swimming or play an active sport for about 45-60 minutes before needing to reapply. You can make it thicker and somewhat waterproof if you use the second recipe, which adds beeswax, but you will still need to reapply every 80 minutes or so. I haven’t tried the recipe with beeswax, so I don’t know exactly how long it will last. The 80 minutes is based on Badger Sport Sunscreen, which contains only sunflower seed oil, beeswax, jojoba oil, vitamin E and 22.5% non-nano zinc oxide. Perhaps by adding more beeswax, you can extend the 80-minute waterproof window. Tip: Everyone’s skin is different. 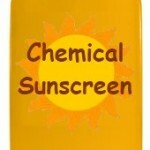 When first using this sunscreen, check your skin often to determine how often you need to apply for proper protection. How should I store this sunscreen? Don’t leave this sunscreen in a warm place (above 90 deg F) or out in the sun. The natural oils in the recipes will begin to get very soft or even melt at higher temperatures and the heating up and cooling down of the ingredients may degrade the sunscreen. You can put them in the refrigerator if your house is very warm, above 80 deg F, and prefer a thicker lotion when applying. How long will this sunscreen last? What is the expiration? If stored properly, this sunscreen should last for a minimum of 6 months. Unrefined coconut oil has a shelf life of 4+ years. Unrefined shea butter has a shelf life between 12-24 months. This recipe is for a physical sunscreen made with non-nano, micronized zinc oxide. You can read about the difference between physical vs chemical sunscreens and the pros and cons of natural zinc oxide and titanium dioxide sunscreens on our previous post here as well as suggestions for natural sunscreens you can buy, if you prefer. Also, when I’ve run out of the sunscreen, I sometimes just add the zinc oxide powder to my whipped body butter recipe for quick usage situations. All Natural Zinc Oxide Sunscreen vs Chemical Sunscreen - Better for Your Skin and Health? 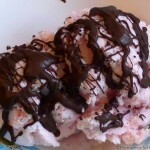 Marios – There are a lot of sites saying that raspberry seed oil and carrot seed oil has a SPF value of between 38-50. However, few ever cite a reference for this statement. There was one study done in 2000 that stated raspberry seed oil had the potential for use as a broad spectrum UV protectant, but it was never tested and verified. There have been no other studies since then that have verified this claim either. The same for carrot seed oil. The only study that was done was not testing carrot seed oil in isolation, but rather in combination with other extracts as well as zinc oxide, which was probably the primary source of the resulting calculated SPF value. Having studied the article in question – and in particular the chart listing the un-named and therefore coded 14 ‘natural’ sunscreen products tested – I am convinced that it provides no basis whatsoever for claiming that carrot seed oil and/or essential oil provides a SPF of 38-40. 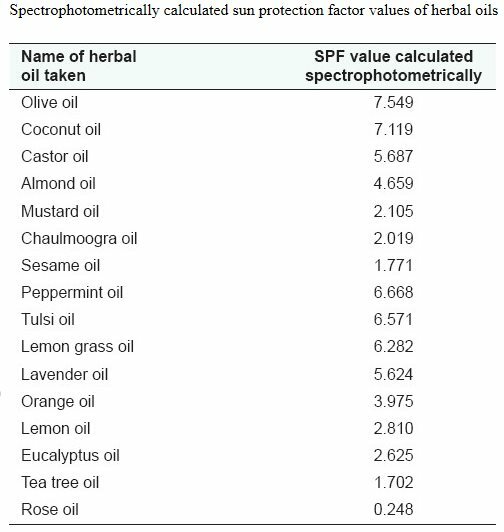 This is why I cited a study in my article above, under “SPF Values of Natural Oils,” giving the SPF values of various vegetable and essential oils in a table that were tested.